I'm officially a fangirl of The Genius File series by Dan Gutman! 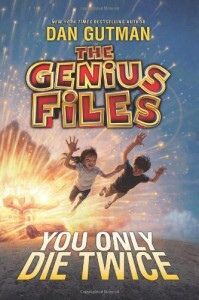 This wildly fun middle-grade series, which includes Mission Unstoppable, Never Say Genius, and now You Only Die Twice, is the perfect mix of adventure, humor, and educational information. And, I think book three is my favorite one yet.In You Only Die Twice, thirteen year old twins, Coke and Pepsi McDonald, continue their journey across America with their parents in an RV. The family has made their way to Washington D.C. and Aunt Judy's wedding, and are now traveling back home to California. Along the way, the family stops at unusual and quirky tourist attractions and museums for their mom's website, Amazing but True. And of course, the twins are once again chased down by an evil arch-enemy and must rely on their individual talents and each other to thwart the bad guys and save their lives.Dan Gutman is a master of pitch perfect middle-grade humor and fun, and this series is proof of that. With The Genius Files, Gutman has crafted a wild adventurous romp across America that is filled to the brim with off the charts laughs, thrills, and fun facts. These books are instantly captivating, impossible to put down, and will have readers of all ages devouring them quickly.I adore Gutman's middle-grade voice and writing style. He clearly knows and understands his intended audience and this really shines through in this series. Like books one and two, You Only Die Twice is massively entertaining, charming in its quirkiness, smartly funny, and irresistibly engaging. In book three, our hero and heroine, Coke and Pepsi, find themselves up against an Evil Elvis and once again must use their smarts and ingenuity to solve ciphers and escape the bad guys. The action and adventure is fast-paced and never ending; there are no boring moments in this book! And Gutman does a fantastic job of recapping the events of earlier books throughout this book, without being repetitive.I just love how engaging and interactive this book, and the others, are. Readers can use Google Maps to follow the McDonalds' journey, solve the ciphers and puzzles along side Pep and Coke, and research all the wacky and unusual places the twins visit. Every place the family visits is a very real place in America, and each book contains pictures and real info about these places. 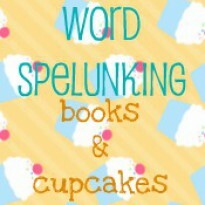 Younger readers will learn a great deal without even realizing it because the educational stuff is mixed in with all the fun stuff. In You Only Die Twice the McDonalds visit some pretty outrageous and cool places, such as the birth place of Pepsi-Cola, Luray Caverns, a very big frying pan, South of the Border, a Waffle House museum, Graceland, and a ton of others. The twins also walk through a giant brain, drink zany Coca-Cola flavors, get dunked in flesh-eating soda, get tossed in a giant shredder, and face down an evil Elvis impersonator.Coke and Pepsi are the kind of middle-grade characters that I love: they're super relatable and likable. Like most younger readers, I too, appreciate characters that are capable, smart, and funny, but not too perfect, and Coke and Pepsi really fit this description. There's a great gaggle of villains in these books that are sinister enough to be compelling, but silly enough to be amusing.Dan Gutman is a cliff-hanger genius and You Only Die Twice is no exception. This book ends with an explosive bang and a boom and gasp-worthy reveal that I didn't see coming.MY FINAL THOUGHTS: You Only Die Twice is an excellent addition to an already sensational middle-grade series. I always have so much fun reading these books and I'm so looking forward to book four. These books are perfect for middle-grade readers that crave adventure and laughs. And if you have a reluctant younger reader in your life I highly recommend this series to get them excited about books.